What is the Best for Your Case? The voluntary process that follows direct Negotiation and attempts resolution of the dispute involving the use of a neutral third person, Mediator, who facilitates settlement negotiations between the parties. 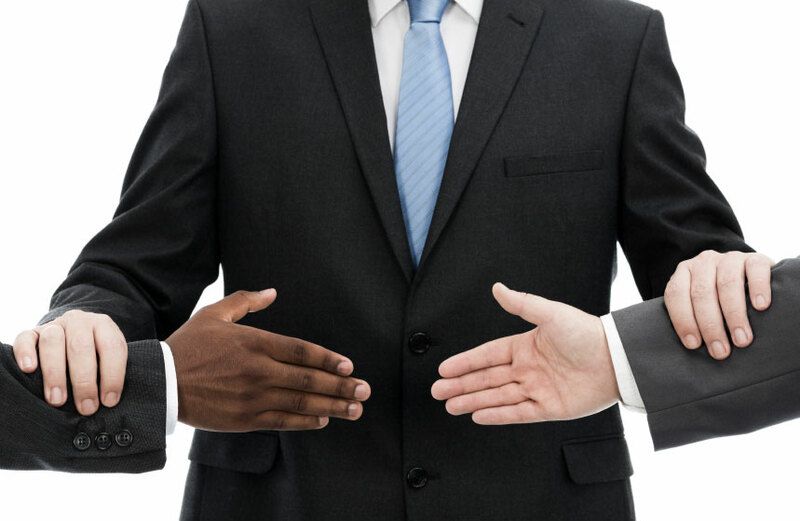 Attorneys are clearly suggested but may or not be involved in the Mediation process. Mediation is inherently non-binding until the settlement agreement is signed. Mediation allows the parties to terminate their negotiations at any time prior to settlement without fear of disclosure or admission in future litigation. The vast majority of all litigation is resolved in private Mediation. Advantages: quick calendaring, low cost, confidentiality, enforceability of most civil disputes. All communications between the parties and neutral are privileged and protected by CA Evidence Code 1115, 1152, et seq, Federal Rules of Evidence 408, et seq. Many different forms and processes of Mediation exist. Mediation is highly preferential to Arbitration for most disputes because it is expedient, efficient and effective. Matters which require 2-3 days time for Arbitration are routinely resolved via Mediation in less than 1 day. The savings of legal expense is self evident. Mediation should be strongly encouraged where good faith, preservation of the business relationship and/or where litigation is needless and avoidable. Even the most complex legal disputes, or matters of a highly sensitive nature can be submitted to Mediation. If the parties believe the issues in their dispute are best resolved by themselves negotiating then Mediation is the preferred format. Mediation can be offered by any party at anytime before, during or even after the litigation has started. Of the 13% of the Mediations that do not settle at the first Mediation, over 91% of those matters will settle before going to trial. All disputes resolved in Mediation are reflected in a settlement document which is created by the parties, signed by the parties and enforceable in a court of law by all the parties. Mediation as noted above is often referred to as "Classic Mediation" also known as "Traditional Mediation" which is different in process/format "Facilitative Mediation" and "Early Neutral Evaluation". These distinctions can be advantageous depending upon the nature and substance of the dispute. Counsel or the legal assistant is encouraged to contact the Case Administrator or speak confidentially to determine if Mediation is appropriate for your case. The process wherein the parties previously agreed in a contract or subsequently agreed by stipulation to avoid litigation and in the alternative to submit their dispute to a mutually selected neutral third person or persons to make an adjudicatory resolution. The selected arbitrator is generally someone with substantial subject matter and litigation experience. Unlike Mediation, the parties do not negotiate their disputes, they allow their Arbitrator to make an award, finding, ruling, result binding upon all signatory parties unless appellate review has been preserved. Arbitrations simply put are similar to a private bench trial, i.e., trial without an impaneled jury. Arbitrations are private and confidential hearings. Only the award, finding, ruling, or result may be become public when filed and certified for enforcement in a local court. Advantages: selection of a skilled neutral arbitrator by both parties, the limitations of the evidence, i.e., parties, experts, witnesses, documents, exhibits, etc. Here the parties can choose to participate in their matters as much or as little they wish. In addition to a tremendous savings in legal expense and costs the parties can substantially limit their exposure to liability, damages, costs, attorneys’ fees, etc. by pre-hearing stipulations. A very common example is the use of a high – low format where the parties negotiate and then stipulate in writing to their individual maximum and minimum exposures to damages. This is especially important when considering all damages whether: compensatory, consequential or punitive. High – low figures when previously stipulated and signed by the parties gives them the reassurance to know their best and worst case scenarios before the Arbitration has started. Additionally, most counsel prefer not to disclose the high - low figures to the Arbitrator thus resulting in a true, pure award. Unless otherwise requested or required, and to ensure uniformity and ease of format, all J.D.R. judges and attorneys, follow the CA Rules of Evidence, CA Code of Civil Procedure, or Federal Rules of Evidence or Civil Procedure or A.A.A. Rules where applicable. Discovery limitations, motions, due dates, etc. are generally agreed upon in a telephonic or in-person A.M.C. (Arbitration Management Conference) which pre-dates the Arbitration. This certainty of calendaring avoids the fear of continued courthouse trial date and allows the parties and counsel the freedom to adequately and fully prepare for their Arbitration. Arbitrations are the preferred route for contractual, employment, real estate, medical malpractice and/or professional liability disputes where the parties or their representative counsel choose to resolve their dispute in a secure and professional environment conductive to the full development of all the issues. In matters of contentious or complex litigation it is advisable and economically prudent for counsel to retain a private, agreed neutral to serve as Discovery Referee. This a voluntary reference as cited in CCP 638 (a) where there is litigation pending. These Discovery Referees are not court appointed. They are privately selected by counsel or, by stipulation in open court. The authority of a Discovery Referee is different from a Private Judge. The Discovery Referee assists counsel and the assigned judge in the management of on-going discovery disputes. The assigned judge retains jurisdiction of the matter and can accept or modify the orders of the Discovery Referee. Discovery Referees are typically retired judges, and trial attorneys with substantial trial and litigation experience. Discovery hearings are calendared at the convenience and stipulation of counsel and held in a private conference room. The net effect of counsel using a Discovery Referee is multiplied by: a narrowing of the issues for the trial, a shortening of time to the trial date, a strong likelihood of settlement in mediation, and the significant savings in total legal costs which cannot be understated.